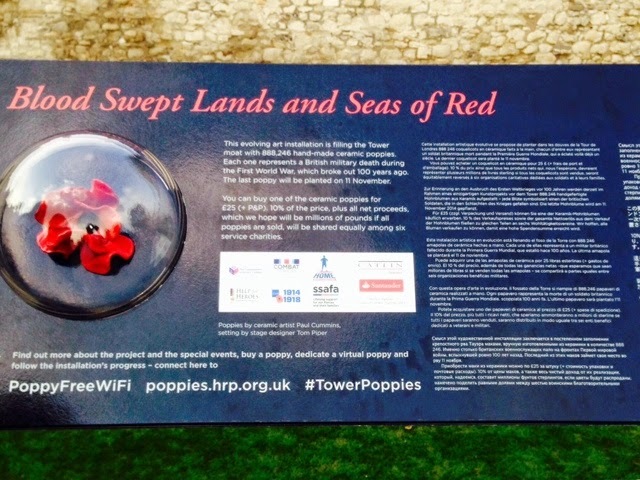 As mentioned in my earlier post (The pursuit of...Foodie Heaven - Borough Market) I went to the Tower of London to see the brilliant art installation of poppies called: Blood Swept Lands and Seas of Red. The display at this historical landmark is in place to mark the 100th anniversary from when the First World War commenced. Each ceramic poppy is handmade, therefore unique and is available to purchase for a price of £25. Profits are to be distributed between six service charities, which is great news. 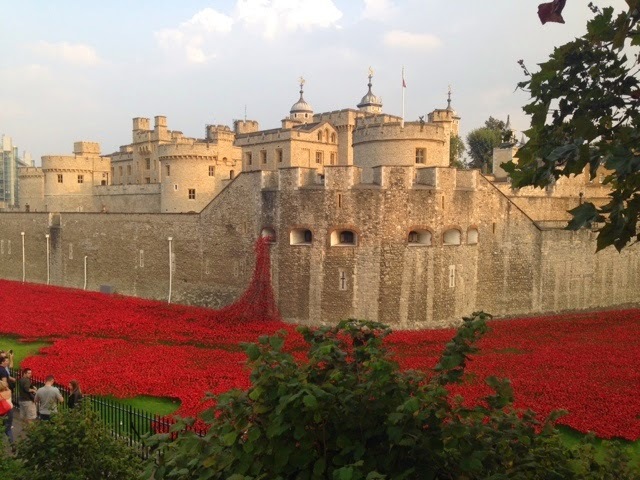 This view of the poppy display (above) really is quite breath-taking in real life. 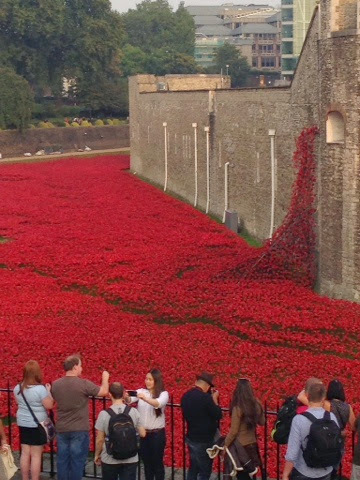 It really looks as though the moat is covered in blood and against the backdrop of the Tower of London it truly is a must-see. The display is in place until the 11th November and will encircle the landmark. We just happened to be there at sunset and this is when a Roll of Honour call is made and The Last Post played by bugle. A very poignant moment, especially if you have lost family members in the war or have or know someone who is currently serving. 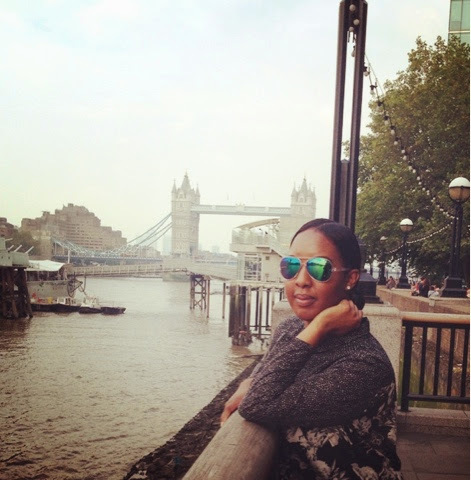 We walked to the Tower of London from Borough Market which is by London Bridge. 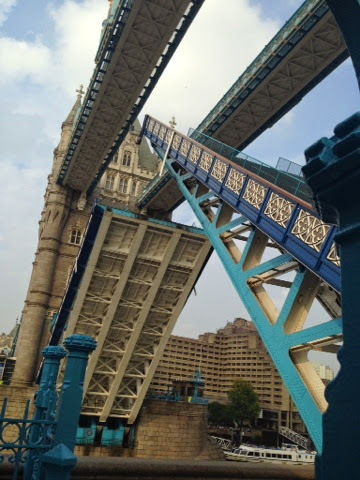 It was a lovely, scenic route, through Hay's Galleria and Hay's wharf and over the iconic Tower Bridge itself. 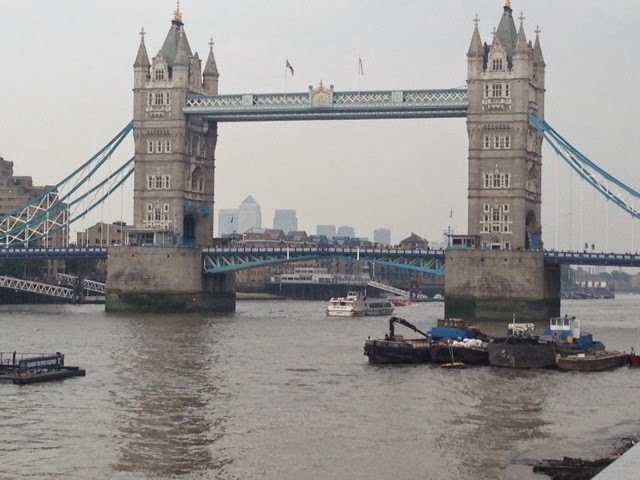 It was a day of perfect timings as we also were just in time to see Tower Bridge lifting! (see below). I'd only ever seen the bridge open/lift the once, and that was from a car. To see it so close up was brilliant - it happens so quietly too....I thought there would be lots of creaking and groaning! So, I had a real touristy weekend in my home town and discovered some new places and sights that I had yet to explore. The City Of London is the perfect place on the weekend as it is less busy and hectic. You can really appreciate and see the stark contrast of the new skyscrapers like The Shard and Gherkin against the old historical landmarks and architecture. Love it! My new favourite place to visit on a weekend! 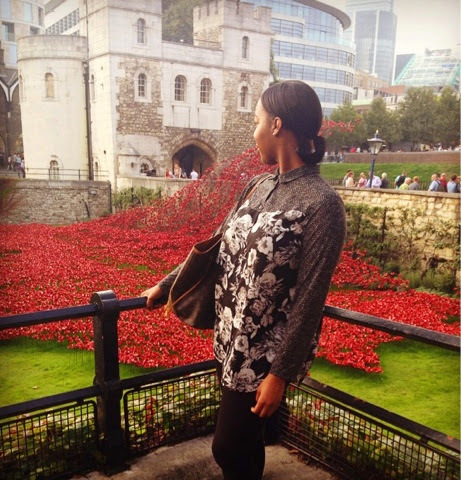 Have you been to see the poppy display at the Tower of London?